First floor accommodation off the central square of the small town of Comber, a gateway town to the Strangford Lough area, Ards Peninsula and the Mourne Mountains, but only 20 minutes from Belfast city centre! Private, bright, southfacing, double-glazed first floor apartment. 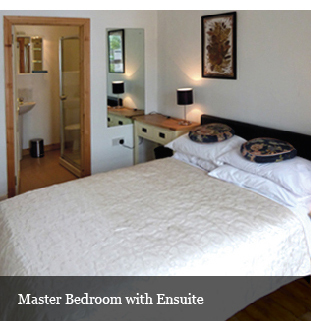 En suite double room, twin room, bathroom and lounge sofabed provides small bed addition (available with surcharge). 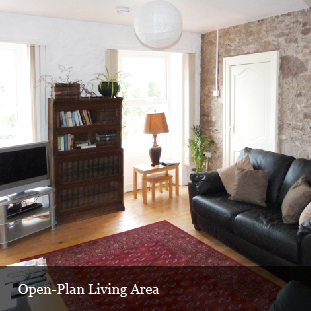 Spacious open-plan living, dining and kitchen area with exposed stone wall feature. Freesat TV (170 + channels), DVD/CD and USB iPod facility. Instant continuous hot water. Full central heating. Big fluffy home-laundered bathsheets, towels and bedlinen (no beach or sports towels). Generous complimentary allowance for gas and electricity. High street location with on-street parking. Access through stonewall archway and small, pretty, open courtyard, which also accesses an elegant Salon de Thé, local artisan craft workshops and giftware. Newtownards 2 miles, Downpatrick 12 miles, Dundonald/ Stormont 5 minutes, Belfast City Airport, city centre and ferries 20 minutes. No Smoking, no pets, no parties, no candles!